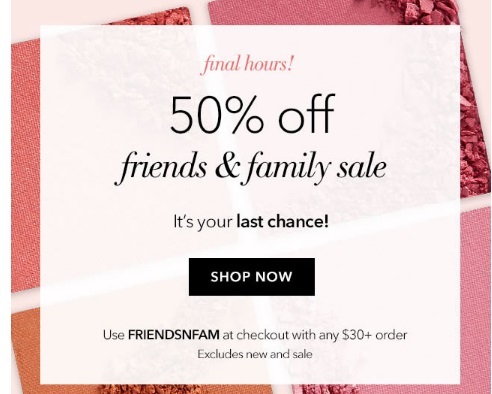 ELF is offering 50% off during their Friends & Family Sale! This applies to orders of $30 or more! Enter the promo code FRIENDSNFAM at checkout. Excludes new and sale items! Offer ends October 10, 2016 at 1159pm PST. Click here to shop ELF.